Somatics is the art of releasing both emotional and physical tension while aligning the body. Similar in many ways to yoga, the art of Somatics goes further into the healing, recuperative, and restorative powers of the body developing physical, emotional, and psychological simultaneously. Several years ago I had the chance to meet and work with the founders of the the Living Somatics Institute, Brian Siddhartha Ingle and Gayatri Schriefer. Over the years they have become very dear friends of mine radically changing my perspective and views about yoga and healing. They travel the world, teaching workshops, classes, seminars, and producing their outstanding Somatics DVD’s. 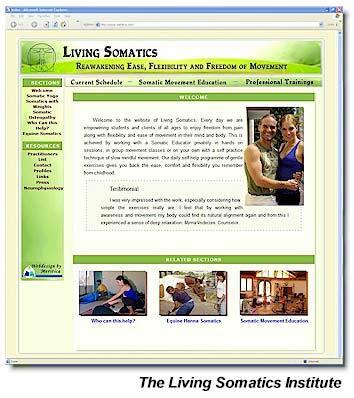 At their website, LivingSomatics.com you can find out all sorts of information about this innovative approach to healing as well as their international workshop travel schedule.